Caring for a loved one who’s been diagnosed with memory loss is a challenge for everyone involved. Understanding dementia and learning about the memory care resources available are vital first steps in what can be a challenging journey. Fortunately, for those in Scranton, PA, there are a number of reliable and reputable dementia care resources located nearby. But before deciding exactly where your loved one should go to get the specific, specialized care they need and deserve, it helps to get as clear a picture as possible on what you should look for in a memory care community. The memory care resources your loved one requires may not be the same as those needed by someone else. Just like the people themselves, each diagnosis is unique. Thankfully, Scranton, PA, is home to several communities that offer a variety of service options. One of the first steps you should take is determining whether or not your loved one should be in a for-profit or a not-for-profit community. There are assisted living/personal care communities that are able to accommodate those with some memory loss or Alzheimer’s. This may be an option for your loved one, but depending on the severity of their memory impairment and diagnosis, they may be referred to a skilled nursing community that specializes in understanding dementia and caring for those it affects. Memory care represents a highly specialized form of skilled nursing, one that is rather different than assisted living and personal care. 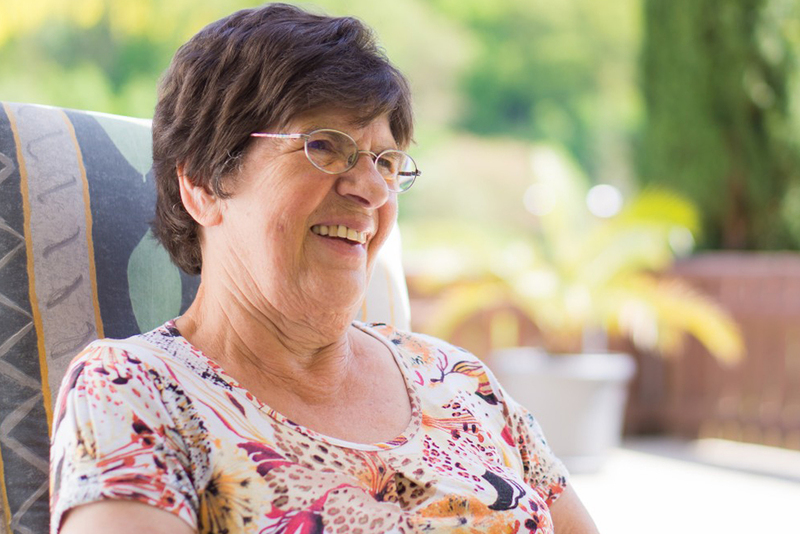 Specialized memory care communities may be higher priced than an assisted living community, but that elevated cost comes with increased peace of mind and caring, experienced staff. Care in these communities often includes 24-hour supervision, medical monitoring and assistance with seemingly simple, everyday tasks. Most important, memory care communities offer residents and their loved ones a warm and welcoming environment that’s easy to navigate day to day. What is the staff-to-resident ratio both day and night? What are the monthly costs for housing and care, and what services are included in those costs? Are the rooms private or semiprivate, and what are the differences in cost for each? If I or my loved one requires personal assistance, what level of care can I expect? What is the community’s protocol for handling medical emergencies? Is there a guard or other security measures in place at the community? What about special dietary restrictions or requests? How often are the rooms cleaned and laundry services provided? What type of physical activities or cognitive programs are offered and how often? As mentioned before, each individual case is unique, so it’s important that the community you choose be equipped to provide the necessary level of care needed now and also be able to anticipate and provide for any future changes. Research the quality of each care community you consider. Online reviews, CMS ratings, and the observations you make on your own during a visit or tour are all helpful. Keeping residents active and engaged is a critical component to successful long-term care. Take a look at communities’ activity and social event calendars to decide whether what they offer would be beneficial for your loved one. This could also include the types of specialized therapies offered in the community, like pet or reminiscence therapy. These thought-starter considerations are meant to be just that — thought-starters. The care journey for you and your loved one in Scranton, PA, will be your own, with your own unique questions, concerns and qualifications. What matters most is that seniors are well cared for and that you’re comfortable placing them in the care of a community you can trust. For even more help understanding dementia, contact us today to learn more about Alzheimer’s and dementia care services at Jewish Home of Eastern Pennsylvania. You can use these dementia care resources to help you make an informed decision for you or your loved one.